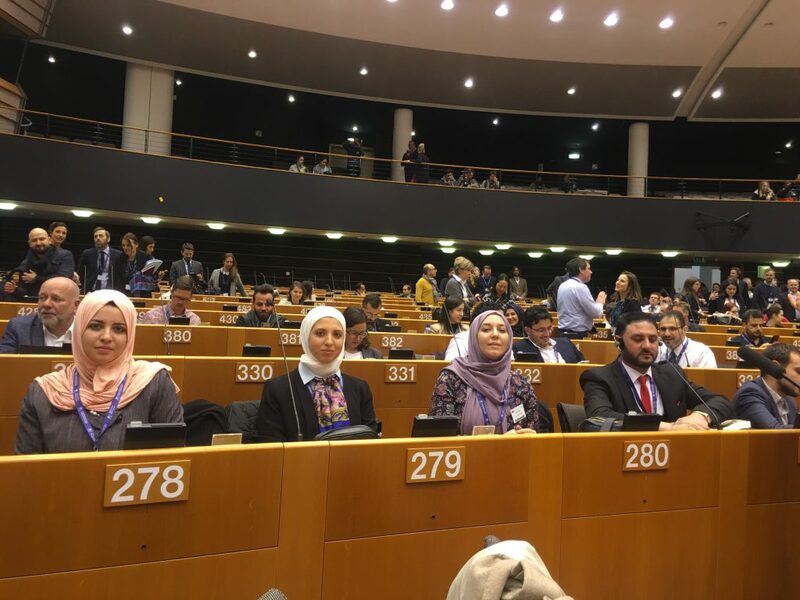 A delegation of Syrian and Jordanian students from the EDU-Syria Program participated in the Third Brussels Conference on Supporting the Future of Syria and the Region in Belgium on March 13th and 14th. The conference aims to discuss a number of political and financial issues as well as humanitarian aid to Syria and the region. 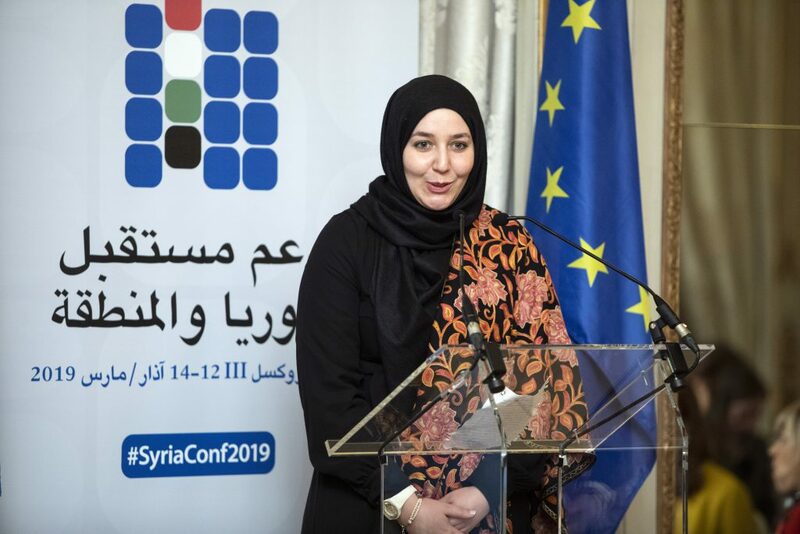 A number of Arab and European Union representatives attended the conference, as well as delegations from regional organizations and countries, international financial institutions, United Nations agencies, and representatives of civil society organizations working in Syria and neighbouring countries. The participation of the students came through meetings with representatives of civil society organizations during the conference, where they represented students who are Syrian refugees as well as Jordanians affected by the Syrian crisis. The participating students shed light on the challenges in regards to higher education, such as the number of scholarships, as well as the importance of securing a safe environment, adequate infrastructure, and equal employment opportunities as a prerequisite for the safe return of refugees. The students also discussed the importance of supporting Jordanian and Syrian entrepreneurs in Jordan through improving the economic and social conditions and creating employment opportunities to reduce unemployment rates. 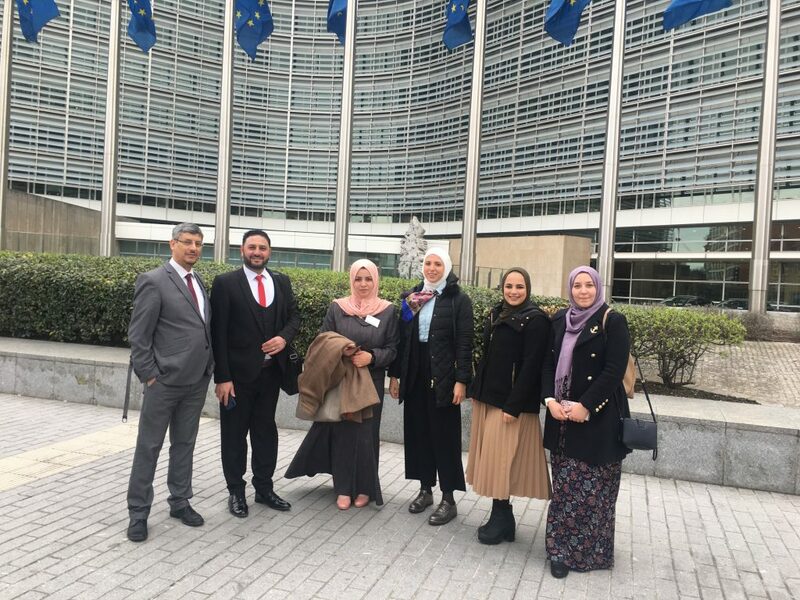 Furthermore, the EDU-Syria team met with Mr. Michael Kohler, Director for the Southern Neighbourhood, DG NEAR, European Commission in Brussels, to discuss the most important issues facing Syrian refugees in education in Jordan, especially those in refugee camps, as well as employment opportunities after graduation. Kohler praised Jordan’s role in dealing with the Syrian crisis and expressed the European Union’s appreciation for Jordan’s generous hospitality. The participating female students also attended a dinner hosted by the High Representative of the European Union for Foreign Affairs and Security Policy/Vice-President of the Commission, Federica Mogherini, which included a group of European foreign ministers, UN representatives and a group of prominent Syrian women in civil society. The dinner aimed at highlighting the role of women in building the future of Syria, where Bushra Abyad, who is a student from the EDU-SYRIA program at the German Jordanian University, gave a speech about the importance of women’s role in overcoming the crisis and building a new informed generation.